Porto goalkeeper Iker Casillas says his time at Real Madrid "is in the past," but isn't ruling out a move to another Spanish top-flight club. 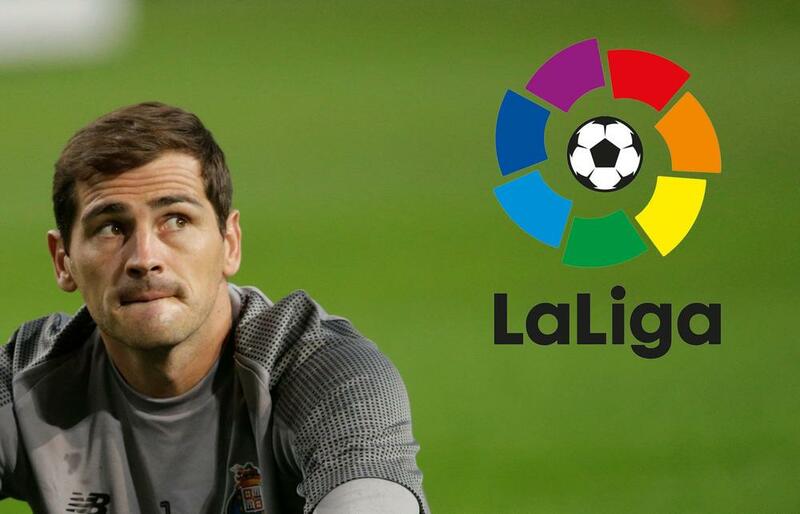 Real Madrid legend Iker Casillas says he "would love" to play in La Liga again. The goalkeeper rose through the Madrid youth system to spend a successful 16 years with the capital club, winning five La Liga and four Champions League titles before leaving for Porto in 2015. Although the 37-year-old's contract with the Portuguese giants is set to expire at the end of the season, he expects to extend the deal for another two years. Still, he dreams of returning to his homeland to add to the 510 appearances he has already made in the top-flight. "I have been lucky enough to compete in La Liga and unfortunately I am not there at the moment," he told reporters. "What I did with Madrid will be difficult to relive, and to repeat those successes would be very complicated. "My time at Madrid is in the past, but I would love to return to La Liga." It has been almost three years since the World Cup winner last featured for Spain. Many team-mates from La Roja's glory have brought an end to their international careers, but Casillas hopes to get a call from coach Luis Enrique soon. "The national team is not a stage that has closed," he added. "Unlike other team-mates, I haven't retired from the team. "I think it's different with goalkeepers, but I respect the decisions of the coach who believes it is appropriate to take other team-mates because he thinks they are better. "But I have the desire, so why not? For example, Jesus Navas showed he could return to the national team and I'm very happy for him." Casillas' former team-mate Zinedine Zidane returned to the club last week, less than a year after leaving his post in the wake of a third straight Champions League triumph. And Casillas says fans should be happy to have the iconic figure back. "Zidane's arrival is a reason for enthusiasm and energy for all Madrid fans after everything that was achieved in recent years." TLR: What Is Barca's Best XI?